Morgan, the oldest privately owned automotive manufacturer in the world, plan to bring 1000's of vehicles together across the weekend of 11-12 August. 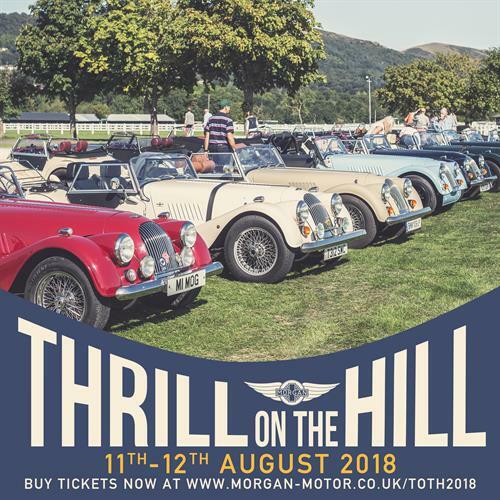 Split across two days and two locations, Thrill on the Hill is set to be the biggest celebration of everything Morgan in 2018 which marks 50 years of the iconic Morgan Plus 8 – an impressive line-up of 50 Plus 8s, spanning half a century of the model, will be on display throughout. After success last year, the Pickersleigh 3 run returns for 2018 and will witness a procession of 3 wheeled Morgan’s travel from the Morgan factory to Prescott Hill Climb on Sunday morning. A range of activities is planned for both days, making it the perfect event for families, as well as Morgan owners and enthusiasts alike. Morgan owners and fans will come together across the two days to enjoy an array of entertainment including a spectacular aerial display. Marking 50 years of the Morgan Plus 8, there will be an impressive heritage lineup of this legendary model. Morgan have enlisted the help of their owners to put together a handpicked lineup of 50 Plus 8’s representing all eras of production. The entertainment extends beyond Morgan motoring with pampering beauty treatments, classic barber service offering men’s grooming and traditional fairground rides for all. There will be delicious artisan food, the opportunity to earn some specialised crafts and even the opportunity to witness craftsmanship first-hand with a guided tour through the Morgan factory. A huge firework display will conclude the first day with a bang. 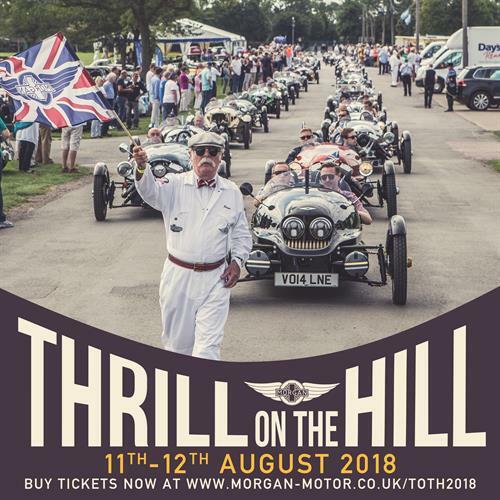 On Sunday, the action continues over at Prescott Hill Climb where visitors will be treated to a day of motorsport as 100s of Morgan’s take to the famous hill. 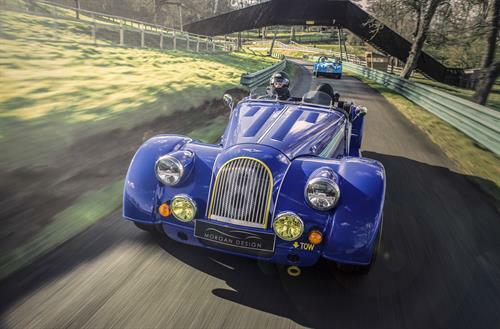 Visitors will have the option to power around the course in their own Morgan, or jump in the passenger seat of a factory car via pre-bookable timed runs. The lunchtime parade is an event highlight not to be missed as an entire squadron of Morgan machines take to the track for a full display before Richard Goodwin performs airplane stunts in his Pitts S2S muscle bi-plane.